Born on August 20, 1833 in North Bend, Ohio, Benjamin Harrison belonged to an illustrious family with a legacy of political activism. He was the second of the eight children of John Scott Harrison and Elizabeth Ramsey Irwin Harrison. 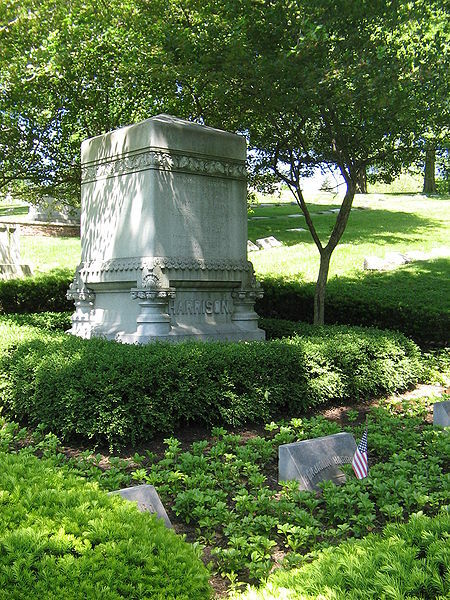 Benjamin’s Father became a Congressman in Ohio while his Grandfather, William Henry Harrison, was the ninth President of the United States of America. The family did set the bar high, but was it an advantage or disadvantage for Benjamin? After many years of spending early school and learning all the basics and fundamentals at a schoolhouse, Benjamin went to college in Miami University in Oxford, Ohio in 1852. He finished college with flying colors and near the top of his class. A year after graduating, he married a woman whom he had known for a long time, Caroline Lavinia Scott. He then studied law in Cincinnati for two years. After which, in 1854, the couple decided to move to Indianapolis, Indiana. Benjamin practiced law there and it’s pleasing how he was able to establish a prominent name as an individual in such a short time. Benjamin Harrison was a Republican. Many people recognized him as one of the best political spokespersons in the United States, and his speeches were renowned to be of deep and relevant meaning. However, his prominent name, his abilities as a lawyer and his oratorical talent didn’t make everything go his way. His involvement in politics didn’t progress as quickly as others expected. Sure, he was the city lawyer of Indiana in 1857, officer in the Republican State Central Committee the next year, and a correspondent in the Supreme Court of Indiana two years later, but this was a slow advancement. Especially that everyone thought it would be easy just because he was backed by a famous surname. But nothing stopped Benjamin from doing what he wanted to do; he pursued and did not lose determination about advancing in his chosen career that is, being a public servant. In 1862, Civil War era, he organized the Union’s 70th Indiana Infantry and was seated in the position of the brigadier general. In 1876, he ran as governor in Indiana but lost in the elections. But in 1881, fortunately, he won the United States senate election. 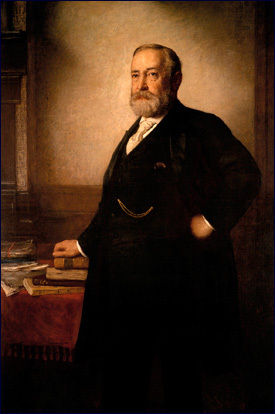 The Senator Benjamin Harrison defended the interests of the Native Americans, showed support for former and retired soldiers, suggested and worked for a safe tariff and fought for a genuine civil service reform in the duration of his service for the senate. 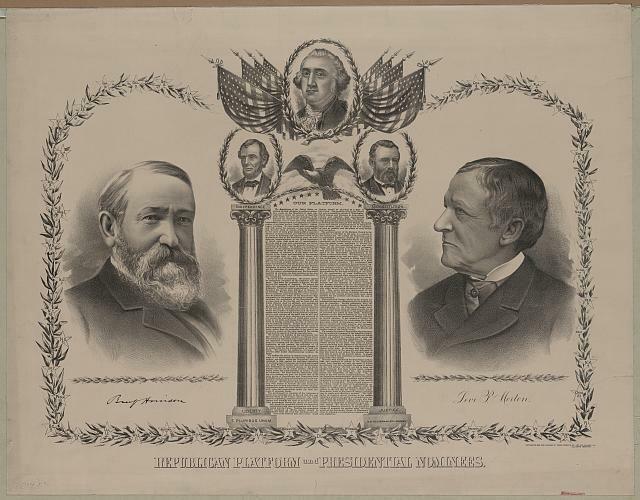 After the major turning point, that is, winning the senatorial elections, Benjamin Harrison was nominated to be the Republican Party presidential nominee. It was like meant to be, since James Blaine, the original Republican Party favorite denied interest in presidential candidacy. Harrison had many competitors but it was he who got the most number of votes from the delegates so the Republicans decided to send him as their official presidential candidate. Levi P. Morton from New York was the one who was chosen to be his Vice President and running mate. In 1889, he won the presidential elections. He was elected as the 23rd President of the United States of America, replacing President Grover Cleveland in position. He was sworn into office on the 4th of March, 1889 in Washington D.C. his inaugural address was brief, something unexpected since his grandfather William Henry Harrison held the record with the longest speech, and to think that he was an orator. But it can be seen that Benjamin Harrison really wanted to stand out of the shadows of his family members and make a name of his own. Many historians believe that there were not many major and remarkable events in the Benjamin Harrison administration. Some even said that he had a boring personality. But the 23rd President had significant contributions to the United States, especially in the field of economy, foreign affairs, and in expanding the Union. He was even, in fact, considered as the most active President after Abraham Lincoln in international relations. 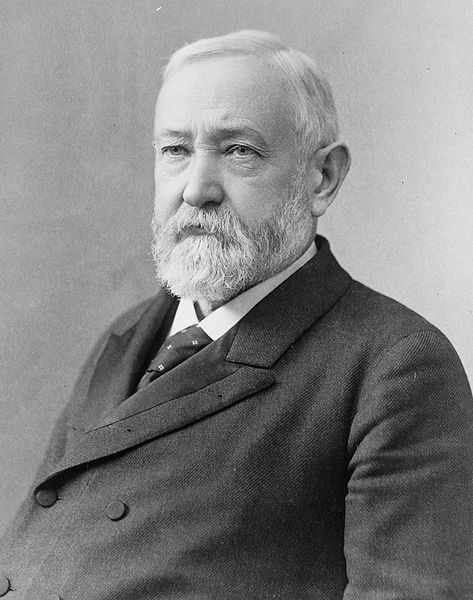 Moreover, one of Benjamin Harrison’s advocacies was to conserve forest reserves. He thought that there was not enough attention that was given to the environmental issues. There was also an argument regarding the foreign policy which tackled the extending of the United States to the Pacific and the construction of a channel across Central America. He also supported the first ever bill that tried to limit the control of America’s huge companies. Aside from these, he endorsed bills that aimed to fight discrimination for African Americans, particularly in their specific right to vote and be heard. He supported several civil service reforms too, especially the merit system in opposition to the patronage system that most presidents didn’t like. Previous administrations had already worked on this to begin with, to mention the Pendleton Act, but Harrison still made actions in relevance to the said issue. 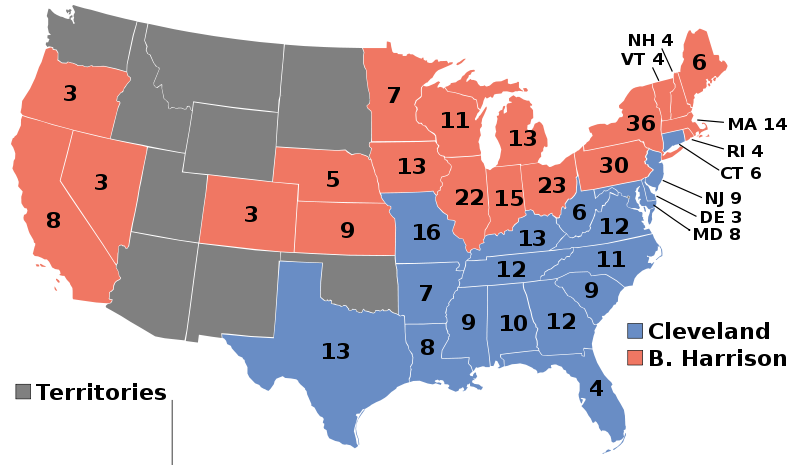 The Union consisted of thirty-eight states in 1889, when Benjamin Harrison’s term began, and when he left the office after losing his reelection to the also reelected President Grover Cleveland in 1891, forty-four states already were part of the Union. That’s quite a lot in three years time. His life continued happily even outside of the White House; the end of his term did not mark the end of his service to the American people. In 1893, he visited the World’s Fair: Columbian Exposition in Chicago. It is a world’s fair in commemoration of the arrival of Christopher Columbus in the Western hemisphere in 1492. After going to The Chicago World Fair, he went back to his home in Indianapolis. He worked as a member of the Board of Trustees in a university, where a campus dormitory was named after him. After a year, he moved to San Francisco, California and taught at Stanford University. In 1896, Benjamin Harrison married the niece of his late wife, Mary Scott Lord Dimmick, who happened to be 25 years younger than him. In the same year, the Republican Party suggested that Harrison run for the position as the President once more, but he declined the offer. Instead, he supported William McKinley. He practiced his oratorical talent again in giving speeches and campaigning for his friend. In 1897, he wrote and published a book entitled, This Country of Ours. It contained a sequence of articles regarding the centralized government and the presidency. The start of the new century served as very important years in Benjamin Harrison’s life. In 1900, he served as the official lawyer for the case between the Republic of Venezuela and the United Kingdom on the argument on territorial and boundary matters. Harrison fought for the Venezuela but unfortunately, he lost the case. However, he still gained prominence because of the intellect he had shown in the court hearings. His lawful arguments introduced him internationally. Moreover, in February 1901, the ex-president suffered from heavy cold. It was almost untreatable; his condition got worse and worse until finally, his soul rested in peace because of influenza and pneumonia on March 13, 1901. He was 67 years old by that time, and his body was buried in Indianapolis, Indiana together with the bodies of both his deceased wives. His last contribution was his book, Views of an Ex-President. You actually used the expression: “It was like meant to be,”? Is this American History as revised by a “valley girl”?